One look at Twitter following the weekend’s action and you’d be forgiven for thinking Tottenham Hotspur were experiencing some sort of crisis. The reality is, they have made their best ever start to a Premier League season. Playmaker FC’s John Walters believes Spurs’ “homeless” status and Mauricio Pochettino pushing “tired” Harry Kane to his limits, coupled with Arsenal’s resurgence will see the Gunners usurp their bitter rivals come May. It’s a view backed by fellow Playmaker squad member, Joe Street who thinks Arsenal’s 1-1 draw with Liverpool last night was even more impressive than it looked and is utterly convinced Spurs’ lack of depth in the striking department will be the factor that ushers in St. Totteringham’s Day once more. 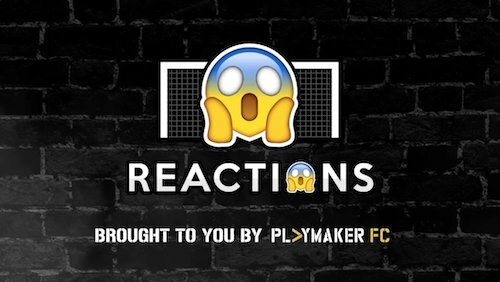 Check out theirs, and others’, reactions to Arsenal and Spurs’ performances over the weekend in this video and what it means for the pecking order in North London this season.